Club members will be aware that since my last Newsletter message the Club has been very active. In early March Director Fundraising, Jane O’Leary arranged for us to have a stall at the Hyde Park Fair. The Fair was well attended and we raised ~$700 from a number of activities, as well as the profile of Rotary. Thanks Jane, and the small team that manned the stall. 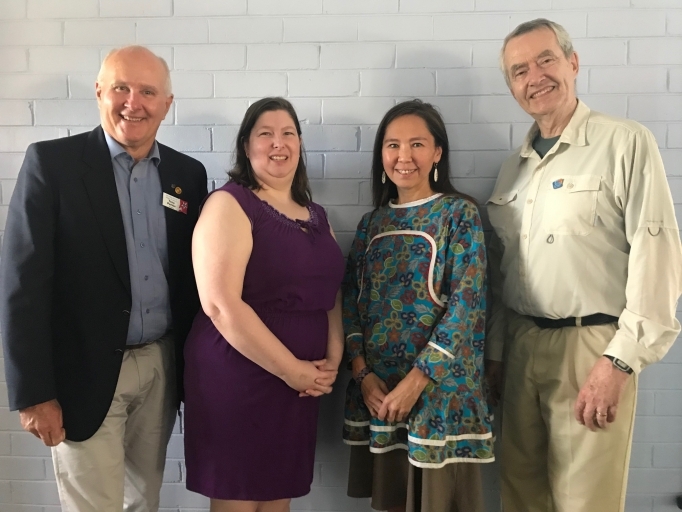 Our suggestion for a “Rotary in Australia Centenary 2020/21” Project in WA of an Instrument Repository and associated facilities to support the “Don’t Stop the Music” Program was shortlisted with two other Projects. The proponents of the shortlisted Proposals had to put together a more detailed “Presentation” to be made before the Selection Panel. I did that with the help of the other members of the “Don’t Stop the Music” team, Joan Peters- BeKids Australia Inc & Executive Producer, DSTM, Julia Hayes- BeKids Australia Inc, Matthew Davis- Head of Salvation Army Stores and Helen Dwyer- WA State Coordinator at Musica Viva Australia. Unfortunately we found out at District Conference that we have not been successful. We are now looking at less “resource intensive” opportunities to support the DSTM Program. 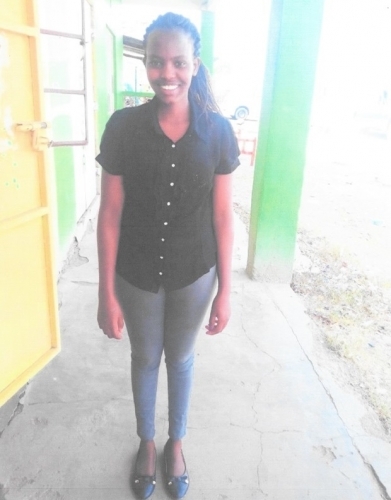 We are thrilled that one of the beneficiaries of our International Service activity, Maasai Education Fund, Melanie Peeyian, has been admitted to Medical College in Kenya. As a result we are continuing our support through the MEF. We think a Maasai woman as a health practitioner within the Maasai Community will represent a substantial leverage of the financial support we have provided to Maasai education over the years. Thanks particularly to John Boxall who has managed this program over the years. About the time you receive this we will have conducted the final Kwinana Beach Motorplex collection for the season. At the time of writing I do not know how much was collected, but we have a good number of collectors, so I expect it will contribute meaningfully to the collection for cancer research/care, that to date totals in excess of $201,000. Thanks to all who have collected, and the key organisers, Jane O’Leary, Michael Lee, Laurie Glossop and Rohan Nagappa. Thanks to the Speedway fans, and to Con & Gavin Migro who have made it possible. Thanks also to all who have collected, and the key organisers, Jane O’Leary, Michael Lee, Laurie Glossop and Rohan Nagappa. Con Migro has also been instrumental in securing a donation to the Club from Speedway Legend Alf Barbagallo of $2000. 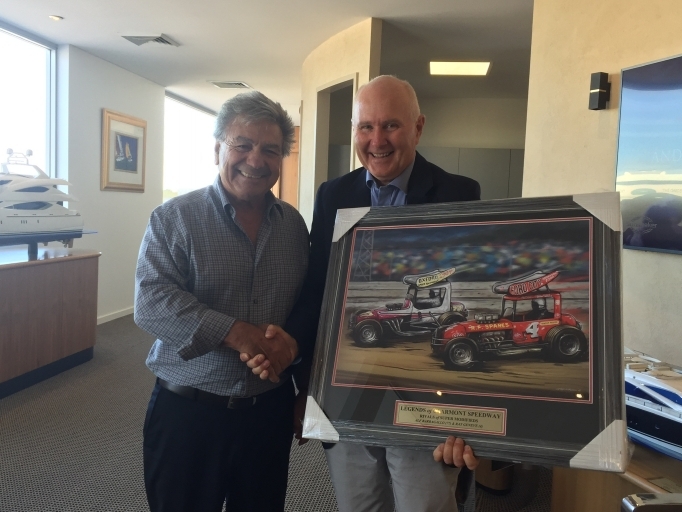 Con had an artwork called “Legends of Claremont Speedway” that features Alf and another legend, Ray Geneve, racing in 1977, that he provided to the Club and we passed on to Alf on the understanding Alf would make the donation. Many thanks to both Con and Alf. Alf’s donation will be further recognised at a later date. 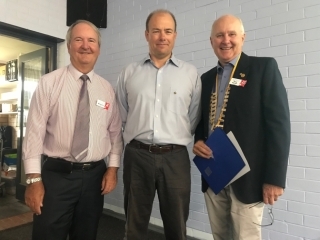 Early April we inducted our newest Club member, Dr Curt McDonald. Curt has a PhD in Economics and is a keen and accomplished Ceramicist. We are looking forward to hearing from Curt on both topics. We have also just had excellent Club representation at the District Conference. 12 of our members (including Curt) attended. I think it was the highest attendance apart from the host club, though a couple of smaller clubs had a higher percentage attending. The Conference continued the welcome trend of being concise and interesting. The Celebration of Youth on Friday Night was an excellent demonstration of what Rotary service can do. More about Conference later. The key event now well over the horizon is our Club Information Night on Tuesday 7 May. It is already in the Meetings & Roster section of the Newsletter so you can RSVP now. Invitations to the nominated “Prospects” have gone out. Please consider sending the Flyer to any other of your contacts who may be potential members. We are honoured that Hon Liza Harvey MLA, Rotarian and former club member will again speak at our function.